It is amazing to listen to the Muslims said they were tired of reading! In fact, reading is one of the best hobbies that is owned by someone. However, it is sad to know that most of us are not introduced to the amazing book world. These are some of the reasons for us to take up the habit ... before you left behind in everything. Nothing like sitting in front of the idiot box (TV, Plasystation, etc. ), reading makes you use your brain. When reading, you'll be forced to think about a lot of things you do not know. In this process, you would use the gray cells of your brain to think and become more intelligent. You can learn how to think the meaning of a word (you did not know) by reading the context of the other words in a sentence. Books, especially challenging, will reveal to you so many words that might otherwise not know. You need to be able to focus on the book you are reading for a long time. Unlike magazines, Internet or emails that contain only small pieces of information, the book will tell the whole story. Therefore, you need to concentrate to read. As the muscle, you will be better in the concentrate. The more you read, the more knowledge you have gained. With increasing knowledge, will further build confidence. So it was a chain reaction. Because you are a good reader, people will seek you out to find an answer. Your feelings about yourself, the better. [But remember, sincerity remains a path to success, and beware of the attitude of proud of myself. Give thanks always to God for a piece of knowledge that you have]. Many studies have shown that if you do not use your memory, you can lose it. Crossword is one example of wordplay that can prevent Alzheimer's disease. Reading, although not a game, it will help you stretch your "muscle memory" you are the same way. 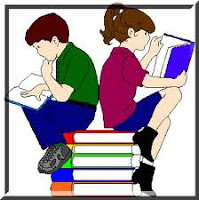 Reading it requires memory to details, facts and figures on the literature, plot, theme or character of the story. Finding time to read is something we already know to do. But who is create a schedule for reading each day? Just a little. Therefore, adding a reading activity into your daily schedule and stick to the schedule will improve discipline. Reading about the diversity of life and exposing yourself to new ideas and information will help the development of the creative side of your brain, because your brain will absorb innovation into your thinking process.